Stan Lee Plumbing & Heating are OFTEC registered heating engineers who undertake installations of gas boilers, oil boilers and LPG boilers. For similar replacement boiler companies in this area please visit the Thirsk boiler page. Stan Lee Plumbing & Heating is run by David Thorn who has been in the plumbing trade since leaving school and now has a decade of experience, working in all aspects of plumbing, bathrooms and boilers/heating. David's father, brother and best friend are all plumbers, so its a family thing and means extra manpower is available for those bigger jobs. David Thorn, from Stan Lee Plumbing and Heating, clearly knows what he is doing. 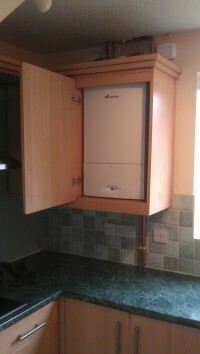 He took the time to clearly explain the installation and operation of the new Worcester-Bosch boiler he installed. The work was carried out quickly and to a professional standard. I would have no difficulty recommending David to anyone.